Bengaluru: Infrastructure Leasing & Financial Services (IL&FS) is in a cash-strapped situation. 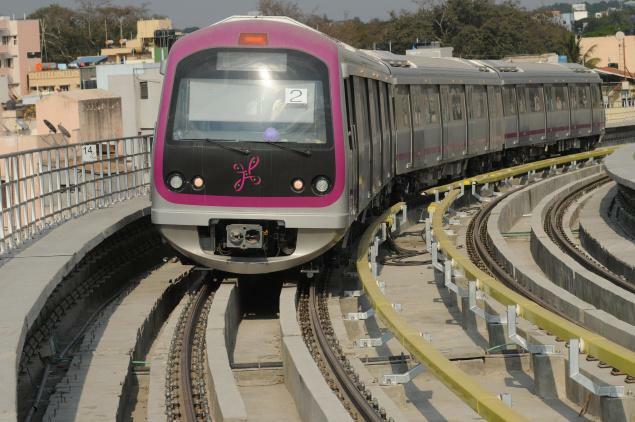 Questions are now raised over timely completion of Namma Metro projects on both the lines. These include the Mysuru Road Station – Kengeri on Mysuru Road stretch as well the K R Puram Silk Board on Outer Ring Road. It was in April 2015 that IL&FS bagged the Rs 327-crore contract for construction of viaduct and stations on the 3.95km route starting from the current Mysuru Road station to Pattanagere (Reach 2A). IL&FS -the Mumbai-based infrastructure development firm is also responsible for construction four elevated metro stations: These are at Nayandahalli, Rajarajeshwarinagar, Jnanabharathi and Pattanagere towards Kengeri on the Mysuru Road stretch. BMRCL is now worried over completion of the project. The debt laden company might not be able to complete the metro project. It is essential that the metro project is completed on time as it is vital to improve public transport in the city. The Mysuru Road stretch towards Kengeri that was the west extension of East-West corridor, had to be completed some 27 months back. But IL&FS has been missing multiple deadlines with BMRCL also imposing a fine of over 1 crore. BMRCL is however, optimistic that work on Mysuru stretch will be wrapped up as it is on the advanced stages. With this new development the metro officials are contemplating of exploring other viable options. But floating new tender might further delay the project. BMRCL is now is a perfect Catch-22 situation. IL&FS is burdened with a consolidated debt of around Rs 91000 crore. It is under scanner over non-repayment of loans and financial disclosure. Regulatory agencies are keeping a close watch over the affairs of the company.